Ministry Relations Director for Logos Bible Software. 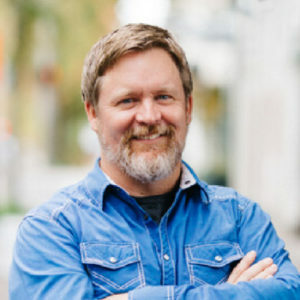 Scott Lindsey’s passion is to equip Christian communicators with the best tools available for the life-long pursuit of God through His word. The world has gone digital and Scott's ministry is to bring people's Bible study and research into the 21st century. Scott teaches at over 20+ conferences per year. He has personally trained and worked with the ministries of Tim Keller, David Jeremiah, Josh McDowell, Carol Kent, John MacArthur, Kay Arthur, and many more. Scott will be teaching one breakout session, and will be available at the LOGOS vendor table in the Fireside Room. "Scott's presentation absolutely blew my socks off! He has the ability to take the sometimes arduous subject of technology and break it down to the level where most of us are. Have him teach at your ministry or conference, and you will witness first-hand why his presentation, 'Technology & Bible Study' is requested around the world!"